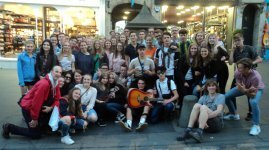 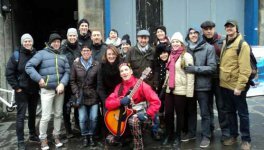 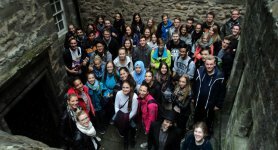 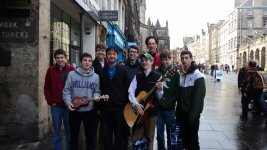 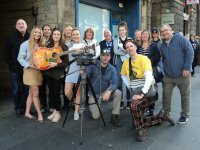 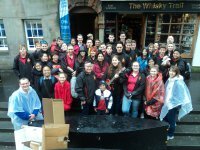 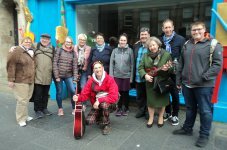 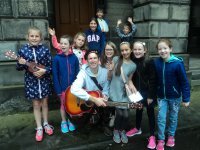 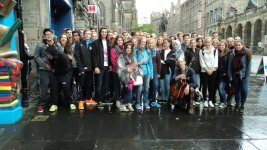 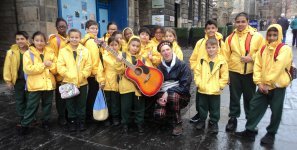 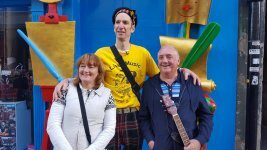 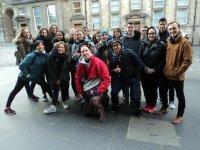 The Musical Walking Tour of Edinburgh. 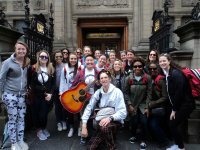 Book a tour for friends, family and special times. 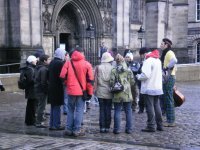 Great for social gatherings and adaptable for all ages. 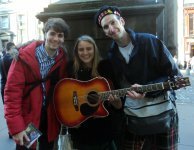 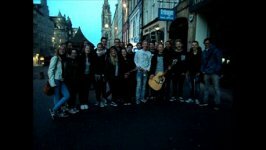 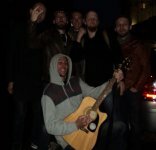 My friends from Germany, outside the Fringe Office on The Royal Mile. 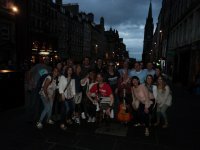 A fantastic night, warm weather in Edinburgh, and it never ended there.